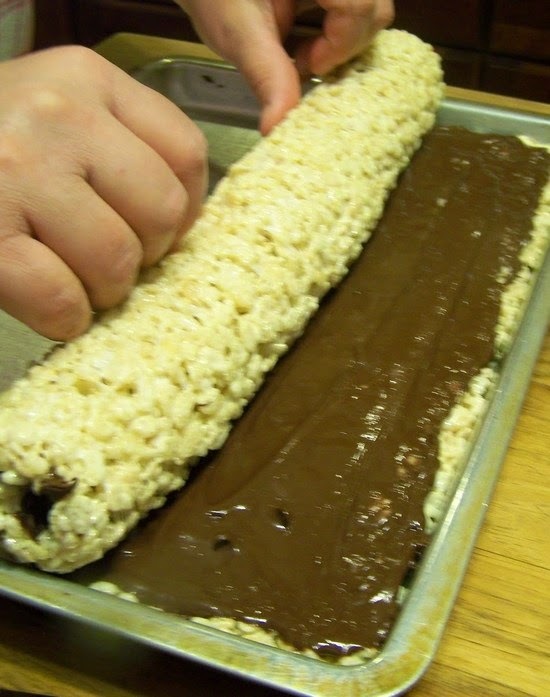 Rice Krispy Rollups | FoodGaZm.. They are great.. I've eaten half the loaf by myself and see myself making this at least once a month forever,, I made mine with Wow butter because my daughter has a peanut/nut allergy and also I used Holiday Rice Krispies to make it more colourful..